For someone who was not even an amateur photographer, A.K. Bir has traversed an incredible path to become one of the most revered cinematographers of the country. 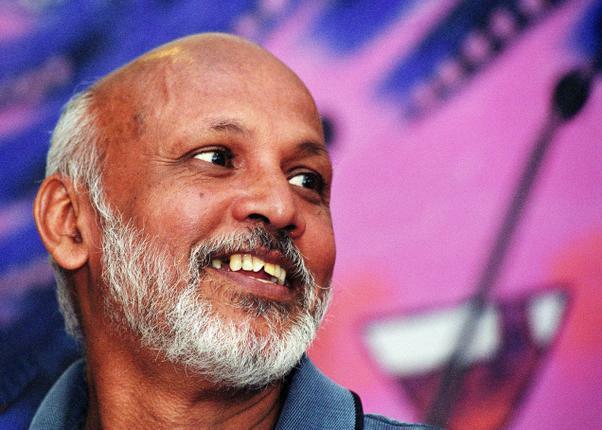 Way back in the 1970s, he challenged the established norms of cinematography and emerged victorious. As a result, the film ‘27 Down’ carved out a niche for itself in Indian cinema. Nearly 70 per cent of the film was shot with a hand-held camera so as to deliver a subliminal experience to the viewer. A.K. Bir went on to win the national award for best cinematography, the first in the series of many that were to follow. He has also played a conspicuous part as an operative cameraman for Sir Richard Attenborough’s magnum opus, Gandhi. A film-maker in his own right, A.K. Bir has won several national and International awards for his films as a director as well. He was recently in Bengaluru for the ‘Chitrabharathi’ panorama film festival organized by Karnataka Chalanachitra Academy. In a tete-a-tete after his master-class wherein he discusses the making of ‘27 Down’ and several other nuances of his art. How did your first feature film ‘27 Down’ come about? I was just trying to settle down doing some short films and documentaries when Avtar Kaul (the director of the film) approached me with his script of ‘27 Down’. As a young man, I had a great urge towards lot of experimentation in my work. Hence, this script greatly appealed to me. Instinctively, I could feel the imagery on my very first reading of the script. I didn’t earn handsome wages on that project. In fact, on a couple of occasions, I had to loan out some money from my puny savings to keep the production going! I was paid only Rs. 3000 but that project did teach me a lot many things. It made me aware of the various problems that a film-maker has to encounter whenever he tries to do something significant. It was purely an adventure of sorts. Rakhee, the leading lady of the film, was an upcoming star at that time and my insistence on her not wearing make-up annoyed her. In addition, I was trying to do a lot of available-light work and was not using any artificial light on many occasions. She thought that I was an ignoramus trying to show off! It was only natural that she grew weary and insisted on seeing the rushes before shooting any further. But Avtar, the director, was adamant that he wouldn’t screen the rushes to the actors. I had to intervene and convince him that it will only help restore the confidence of the actor in what we were trying to do and he relented. What prompted you to take up such a radical filming style? There was a background to it. The kind of training I had received and the kind of films that I had seen at FTII had given me an insight into the art of filmmaking. The authenticity and imagination with which all those images had been captured; the communication skill of those filmmakers; the tremendous amount of intensity of emotion that was delivered on screen were all imprinted on my mind. I felt that here, in my hands, was a script/film that could deliver that intensity of feeling. Even though I knew that it was a difficult task, I was determined to achieve that kind of authenticity as seen in those films. I knew that it was the only way that I could derive satisfaction in what I was trying to do. I had to marshal my resources to that end. Were you conscious of the fact that you were creating history when you opted for the hand-held camera as your principal filming tool on ‘27 Down’? No. It was a spontaneous decision motivated by the screenplay. I didn’t opt for the hand-held camera as a novelty or for the sake of record-books. The imagery that we were trying to arrive at demanded a hand-held approach. The fluidity of the hand-held camera has an impetus of its own, in terms of the energy-flow as compared to that of a more rooted traditional steady shot. This approach resulted in the unique form of expression which is reflected on the screen. But it was physically very demanding. Since we had opted for a candid camera approach, shooting in real locations, we had to be careful not to attract the attention of the people around. For that reason I had to carry the concealed camera (an Arri IIC) in one hand and also lug a very heavy 24-volt lead-acid battery on my shoulder for hours on end. Together, they weighed nothing less than 20 kilos!! As a result, towards the end of the filming, my shoulder started showing signs of wear and tear. Your camera work in ‘27 Down’ has an integrated approach to filmmaking which is rather rarely seen in Indian cinema. How did this come about? I owe that sensibility to my training at FTII and the classic films that we studied as part of the curriculum. For instance, I was taken in greatly by the mastery of craftsmanship in ‘The Battle of Algiers’. To create that kind of authenticity, it needs a sensitive mind. It was amazing to see that. This kind of discipline instead of making you stagnant makes you dynamic. The abstraction thus derived will have an emotive expression. I was heading in that direction. The candid camera must have been quite an adventure? You are right. Not just an adventure but a mad one at that! ( laughs ) On a couple of occasions, I risked my life in my eagerness to grab a shot. With the grace of the Almighty, I have survived to narrate to you how close it was! We needed a shot of the steam engine. But by then the railways had started phasing out steam engines. One day we were informed that one of the few engines among those still operative, would arrive at Sion station at 5 p.m. We went there with the crew. The train was delayed and we were lazing around awaiting its arrival. Suddenly, someone in the team shouted ‘The train is coming’. I just grabbed the camera from the attendant’s hand, set an approximate focus and exposure on the lens and ran towards the railway track and perched on it with the camera in my hand. I did not notice that the track on which I was sitting had gone further and converged onto the other track. There was no way of telling as to which track the train would roll on. You don’t see your madness at such times! But even as I waited for the train to come into my view, I became increasingly conscious of my madness. I was put in two minds as to whether I should risk my life and grab the shot or abandon the venture and save my life and the camera as well. Even as I debated the issue in my mind, the steam-engine rolled on ever closer. The steel tracks creaked under the onslaught of the never-ending procession of wheels running over them at a speed of more than 100 kms per hour. I had never experienced the feel of a gigantic machine running at such speed at such close distance till then. My thumb on the camera switch was going numb. The clatter of the rolling wheels seemed like an eternity. I doggedly held on. I was aware that I could not cut the shot to allow myself some respite. I was just praying in my mind, “God, let this procession of wheels leave my frame as soon as it can.” Finally, when the wheels cleared the tracks, the unit members ran towards me with queries such as ‘Did you get it?’, ‘How was it?’ etc. I was in no condition to speak to them. I simply handed over the camera to the attendant and walked away from the crowd. I stood alone for some time at a distance and regained my composure. It was as crazy as that. But then I guess that is the joy of this profession. Such moments stay on with you for a lifetime and make it a rewarding experience. Subroto Mitra who is revered as the father of modern Indian cinematography had put in a lot of trust in you as one of the purists belonging to the school of Realism. How do you describe his influence on your work? Subrotoda was an extraordinary person. He was a self-taught cinematographer. He didn’t have the luxury of academic training in cinematography. He made use of the most basic of tools and created such classic images that they continue to mesmerize you even after more than five decades. His steadfast commitment to ‘Realism’ which he chose as a visual style is unparalleled. He became a guiding force to all of us and almost single-handedly groomed successive generations of cinematographers. His contribution to Indian cinematography is so immense that it is impossible to describe it in words. I too am one of those who benefitted from his benevolence. Do you feel that the art of the cinematographer would suffer in the digital medium? The cinematographer with a creative bent of mind will continue to reign supreme irrespective of the medium. Yes. As of today, digital technology has made image-grabbing accessible to everyone. That’s all that the technology can do. It cannot take you beyond that. Surely anyone can capture an image. But only a cinematographer worth his salt can define an image. How will you hold on to your preferences in a digital era wherein the colourist reigns supreme in terms of image-creation? It is true that the technology has created an entirely new milieu. Vague concepts have become prevalent; the production tools have come to acquire a ‘status symbol’ of their own! ; garish sets and saturated colours are being brandished as ‘production value’! ; irreverence to aesthetics of composition and colour scheme is being marketed as ‘digitisation benefits’! In the name of the DI platform, the cinematographers’ domain is being trampled upon with no rhyme or reason; positive benefits of digital imaging are being traded for obnoxious imagery. Unless we learn to respect the art form for what it is, there is no way of acquiring constructive and positive growth. The sooner the producers and filmmakers realize the farce for what it is the better it would be for the health of the imaging industry. Fighting this menace is not going to be easy. We must realise that it is bound to be a long-drawn battle between rationale and marketing forces; between aesthetic appeal and economic considerations; between sensibility and showmanship. The creative minds should debate and decide as to whether they want to be enslaved to technology and economic compulsions or do they want to assert their creative independence. The creative cinematographers of the younger generation are face-to-face with this hurdle of making their creative potential stand out in the din of image-grabbers. What would be your advice to them? First and foremost, any aspiring young filmmaker should be aware that it’s a tough job. He should know that it is laborious work and accept it as a basic premise. He has to groom himself in a manner that would enable him to acquire the intensity that is needed to overcome the hurdles. It is only then that inspiration would become a part of his creative outfit. But then, he should also bear in mind what Thomas Alva Edison said – “Genius is one per cent inspiration and ninety-nine per cent perspiration.” (laughs)That’s why one should never get hooked on to the end-result to be derived. Instead, he should become aware of the twin factors of creativity and consciousness. When consciousness is tied down to the anticipation of a given result, it loses its freedom. That is why Bhagavadgita insists on ‘Nishkama Karma’ which means action without anticipation. It is very important to be aware of the fact that the greatest asset of a creative person is the freedom that one creates for oneself within one’s own self.